The facade of a $60-million boutique apartment development coming up on the site of the 120-year-old St Joseph's Technical College and the Sophia Mundi Steiner School in Abbotsford, Melbourne honours the education facility as well as the area’s character, identity and history. Designed by architect Billy Kavellaris, the unique facade design adds a touch of luxury to the former school site while retaining its heritage charm. The facade has been created out of perforated Alpolic sheets featuring digital prints of photographs of St Joseph pupils, taking the residents of Abbotsford down memory lane. The aluminium composite panels have been placed in a zigzag style to create an outstanding facade that tells a story of the property’s past. According to the architect, unlike other developers who may have looked at this site and seen 300 apartments, he envisioned a fusion of terraces and warehouse lofts, typically preferred by Melburnians living in the inner city. 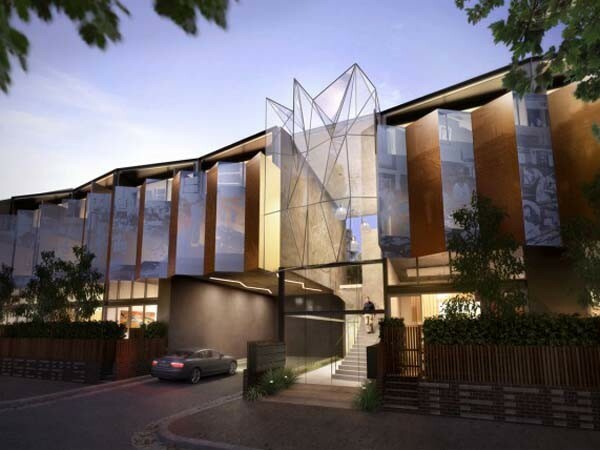 This boutique apartment project caters to the trend for compact development, while transforming the suburb from an old industrial hub to a chic and cosmopolitan residential neighbourhood.